CHANDLER, AZ (August 21, 2-15) – The global economy continues on a course of self-destruction as a result of ignoring our God-given moral compass, which ultimately keeps everything in balance, according to John Horvat II, author of Return to Order: From a Frenzied Economy to an Organic Christian Society—Where We’ve Been, How We Got Here, and Where We Need to Go. In Return to Order, Horvat analyzes what led to this point of social and economic chaos and provides solutions corresponding to the longings many men and women have for timeless traditions, family and authenticity. These solutions are in the hands of nearly 50,000 readers worldwide and are now available to readers in Australia as well. “Our blind embrace of an economy driven by the pursuit of instant gratification, regardless of the consequences, is unsustainable,” says Horvat. Horvat draws upon the rich teachings of the Catholic Church to explain the correlation between the economy, faith and moral values. His writing, based on 20 years of research, illustrates how society’s obsession for a secular, materialistic culture is causing social and psychological emptiness and economic ruin. 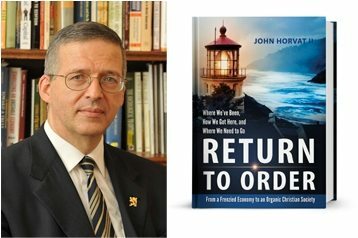 Return to Order has received a long list of accolades from scholars, clergy and politicians, leading to opportunities for Horvat to speak before hundreds of live audiences. Horvat is a Vice President of The American Society for the Defense of Tradition, Family and Property (TFP). He is also a prolific media contributor, writing hundreds of articles which are published by top conservative websites such as The Blaze, American Thinker, American Spectator, Spero News, CNS News and the Christian Post. His articles and opinion pieces have also appeared in The Wall Street Journal, The Washington Times and other publications and websites. At 400 pages, Return to Order: From a Frenzied Economy to an Organic Christian Society—Where We’ve Been, How We Got Here, and Where We Need to Go is sure to attract the attention of Australian readers looking for organic solutions. Copies of Return to Order, can be purchased for $32 by emailing a request to the Australian TFP at info@tfp.org.au, by calling (02) 9715 2324, or by mailing a request to the Australian TFP at P.O. Box 6127, Silverwater BC, NSW 1811. 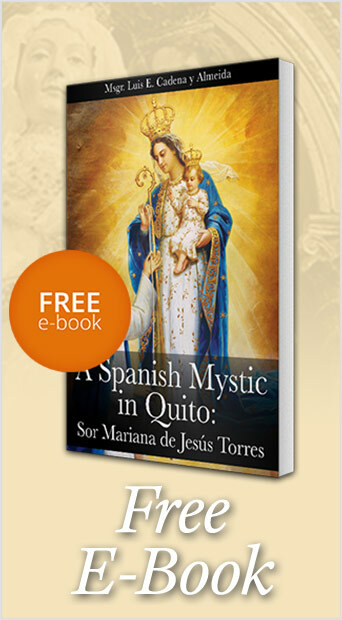 The book price includes shipping to any location within Australia. Additionally, Return to Order is available as an audio book on Audible.com by Amazon. More information can be obtained by visiting www.ReturnToOrder.org. This entry was posted in Return to Order and tagged Australia, balance, Catholic, chaos, Church, compass, continent, crisis, economic, economy, faith, Family, financial, global, God, history, inspiring, John Horvat, moral, Now available in Australia, Order, read, research, return, Return to Order, social, society, solutions, Solutions to Confront Global Economic Chaos, storm, teaching, Tradition, values by TFP.org. Bookmark the permalink.